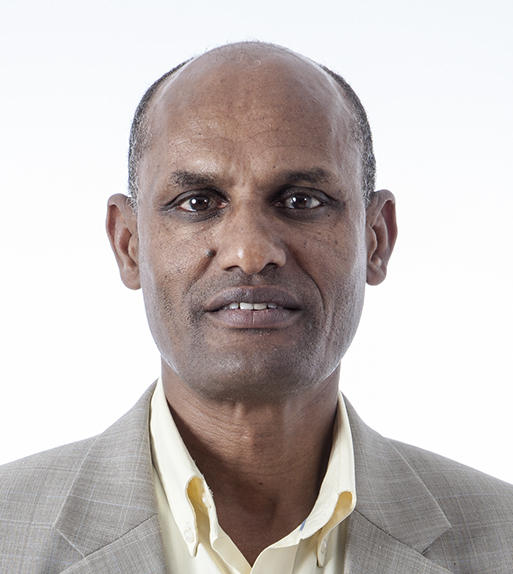 Bekele Abeyo is a senior scientist, wheat breeder and pathologist working in sub-saharan Africa. He focuses on germplasm development, variety release and small-scale farmer outreach. Abeyo and his team specifically develop high yielding, rust resistant wheat varieties while boosting the capacity of actors across the wheat value chain to put improved varieties in farmers’ hands. He has also helped create early rust warning systems, fast track variety testing and link farmers to markets. In the last eight years, over 50,000 farmers have received improved seeds, with productivity increasing from 1.8 to 2.7 tons per hectare from 2010 to 2016 under Abeyo’s leadership. He regularly collaborates with other projects connecting CIMMYT’s germplasm resources and tools with national agricultural research systems. Annual imports now cost more than $600 million and expose national food security to global price shifts.